What can I say, this was the best party I have ever had. 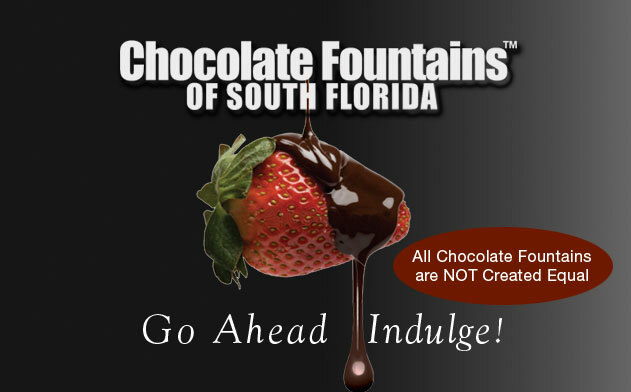 My guests are still talking about the fountain, the chocolate, and yes you were right when you said, “All chocolate fountains are not created equal! ”My friends have been to so many parties with chocolate fountains and can’t get over the chocolate and the presentation at my party. I will certainly use you for my next event and will recommend you to all of my friends. We just wanted to let you know what a hit you were at our wedding. Our guests loved the chocolate fountain. It was the best chocolate we’ve ever had. We personally wanted to thank you for doing an unbelievable job on our wedding day. Our guests are still raving about the fountain. 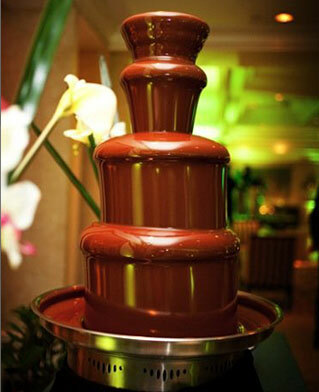 Our employees now look forward to your chocolate fountain at our corporate functions. This is the fifth time we’ve used your service, it is always top notch. You always go above and beyond.